All eyes on me, literally. I've got eyes around my neck and eyes on my feet. 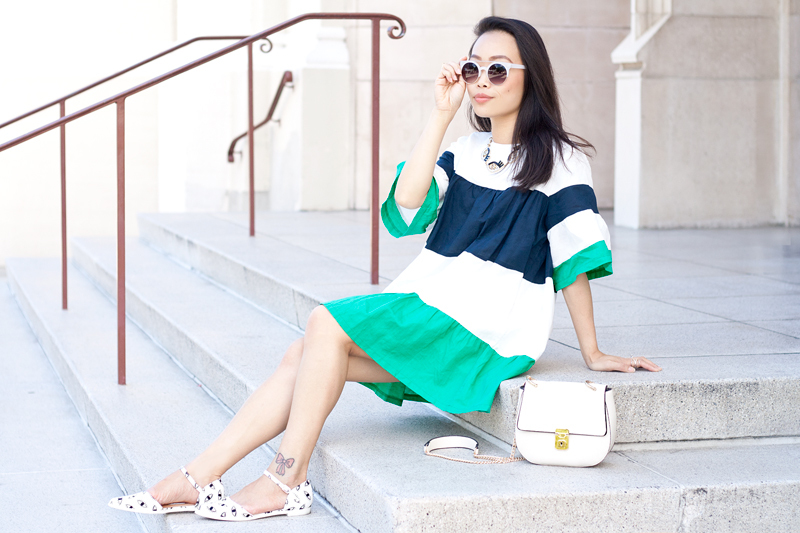 I always love a good eye print but lately I find myself being more into it than ever! Perhaps summer is making me feel extra groovy! 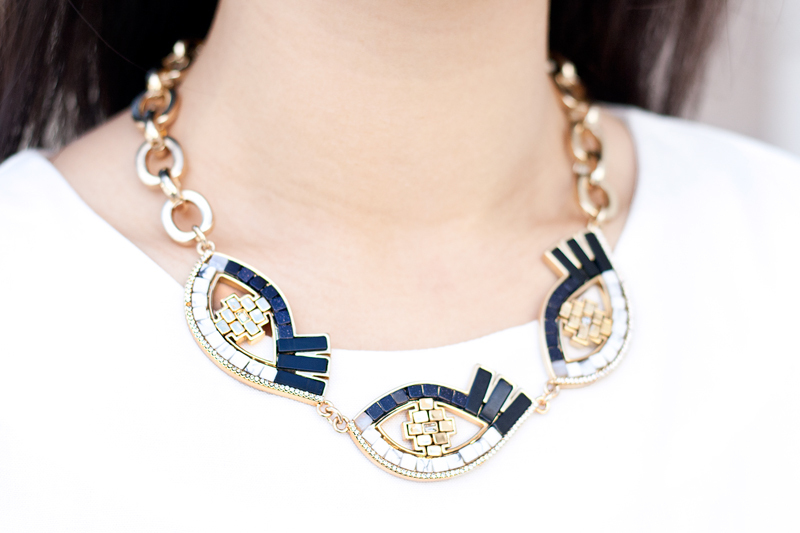 Either way, I think this Lumen necklace by Lulu Frost and these eye print flats are quite awesome! 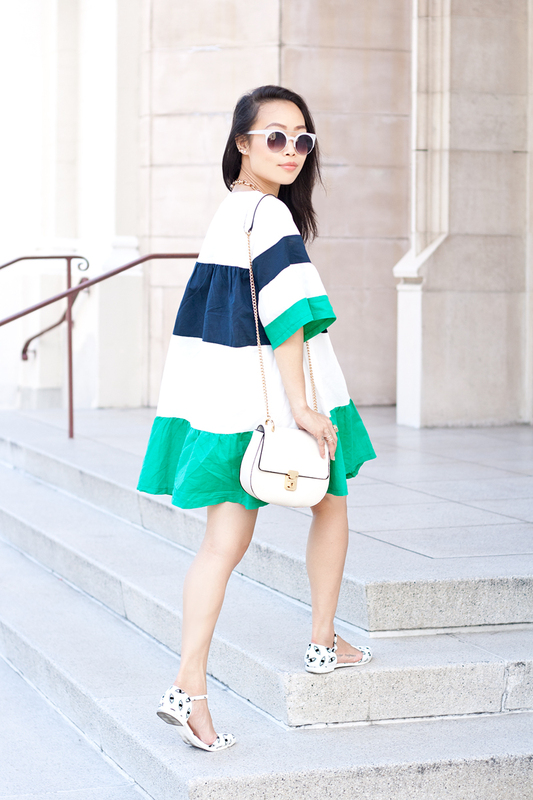 Speaking of awesome, this striped babydoll dress from Pixie Market is pretty awesome as well! 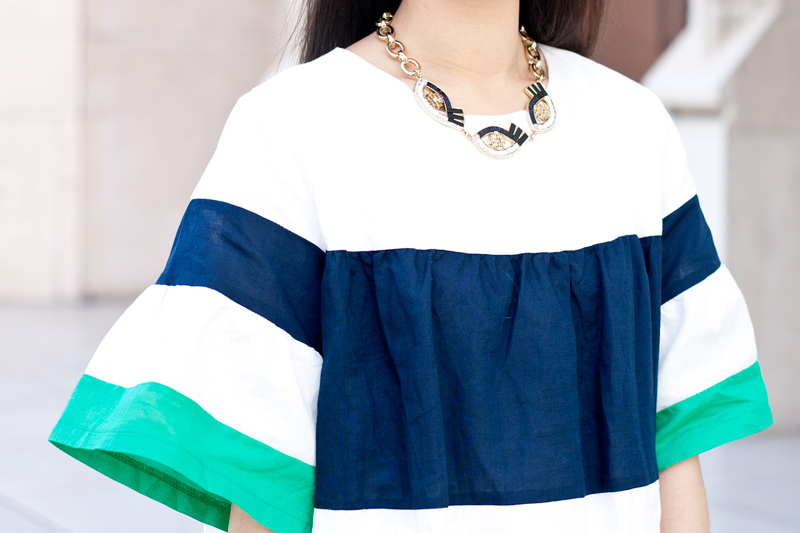 I love the ruffled sleeves and the billowy silhouette, it is perfect for a hot summer day! 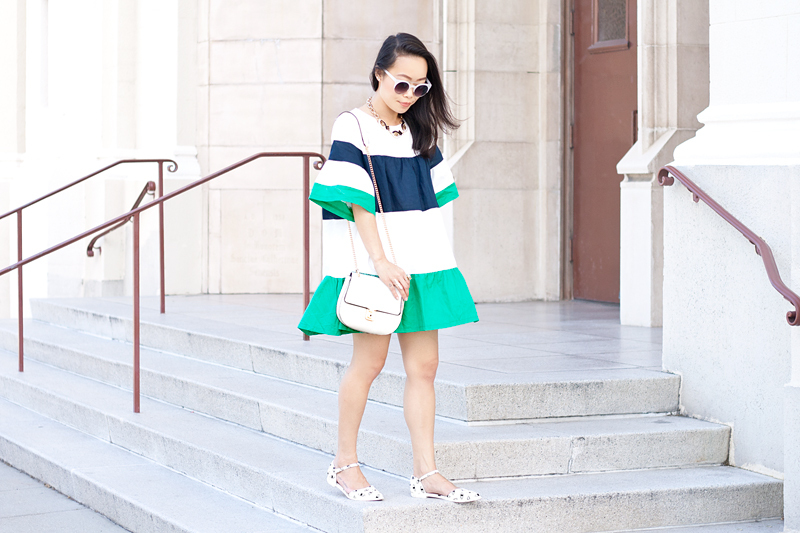 Striped babydoll dress c/o Pixie Market. Lumen necklace by Lulu Frost. 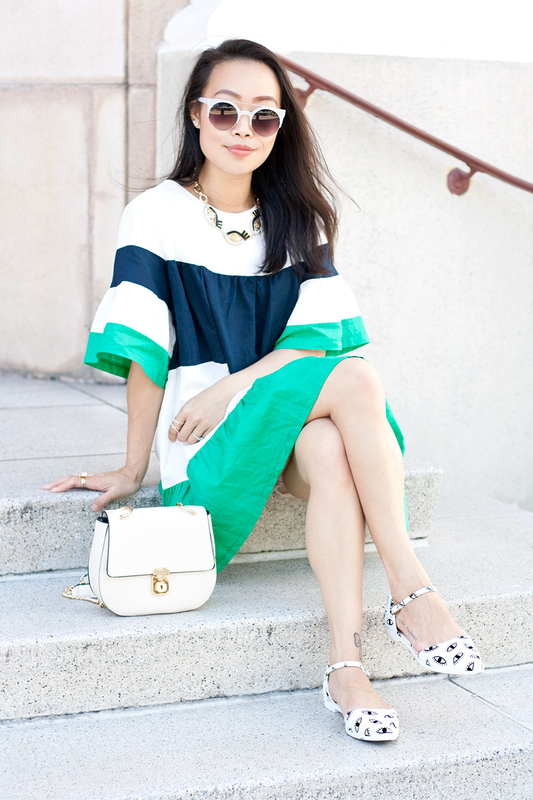 Eye print flats from LuLu*s.
Cream crossbody bag c/o F21.